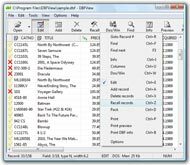 Importing Dbf Files Into Excel : DBF Viewer, DBF Editor, DBF Importing Dbf Files Into Excel DBFView is a compact but powerful tool for opening, viewing, editing, converting and printing DBF databases. Special Instructions for Excel and Access Users - Schools Instructions on how to create an Access database and import a DBF file . 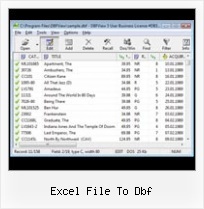 Below are basic instructions for opening a DBF file in Access.